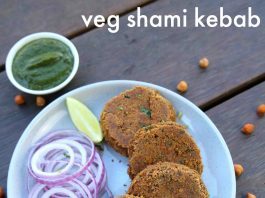 shami kabab recipe | shami kebab recipe | how to make veg shami kebab with detailed photo and video recipe. 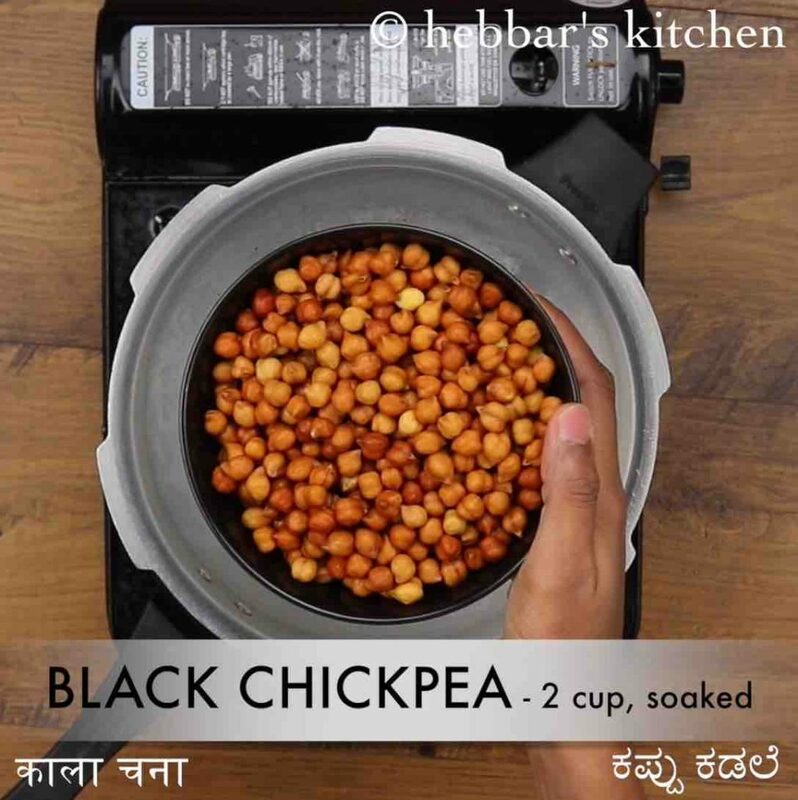 a popular and healthy snack or appetiser made from black ground chickpeas and other spices. it is also popularly prepared with minced meat especially with chicken or lamb meat and hugely popular within the muslim community. it is a very common dish prepared as iftar recipes during the holy month of ramadan. 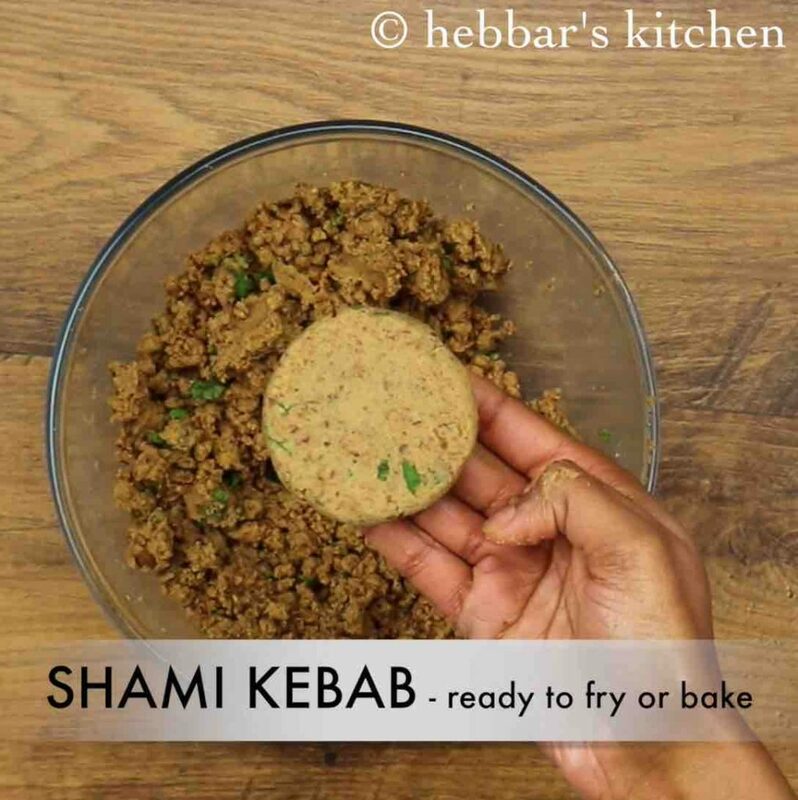 shami kabab recipe | shami kebab recipe | how to make veg shami kebab with step by step photo and video recipe. kebab recipes are very popular snack recipes, not only in indian and pakistan but also in the middle east and western countries. 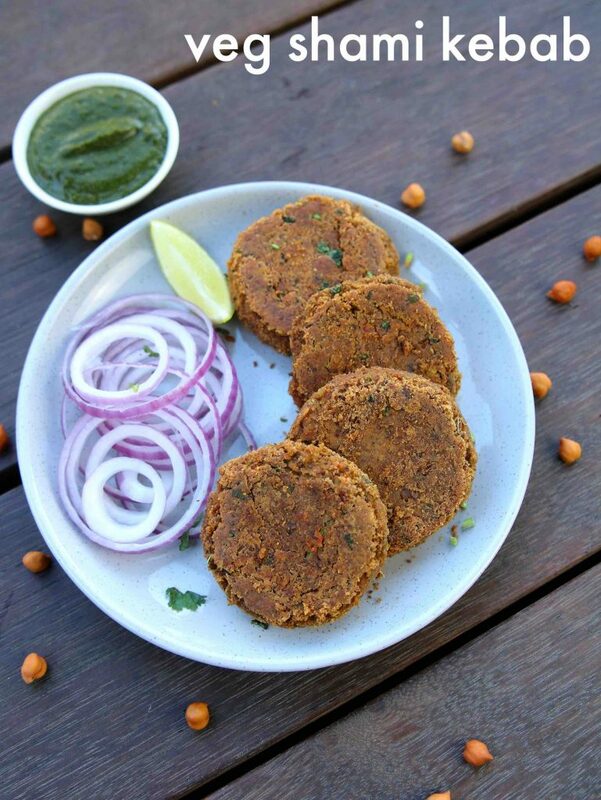 out of these shami kebab recipe is hugely popular patty recipe within south-east asian countries. it is particularly a sought after snack during the fasting season of ramadan. as i mentioned previously, shami kabab recipe can be prepared in myriad ways with several ingredients. this recipe is mainly prepared with vegetarian ingredients for the non-meat eaters. but the most popular is still with the meat, especially with the chicken meat. having said that, the meat-based kebab still uses the black chickpeas and the egg yolk to bind the meat and finally to shape it. contrary to this recipe, i have used all the vegetarian alternative with only black ground chickpeas. also, as an alternative to egg yolk, i have used besan / gram flour which helps to bind while frying. 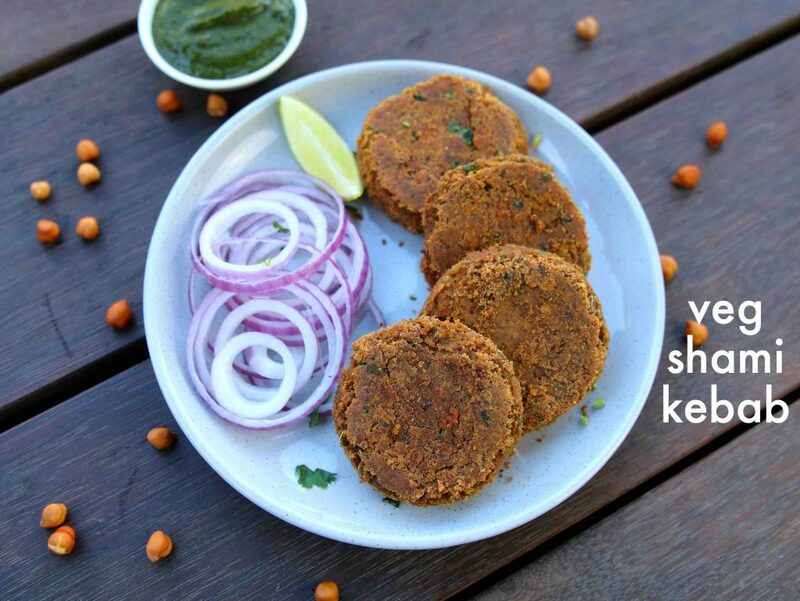 thus making an ideal shami kebab vegetarian alternative. 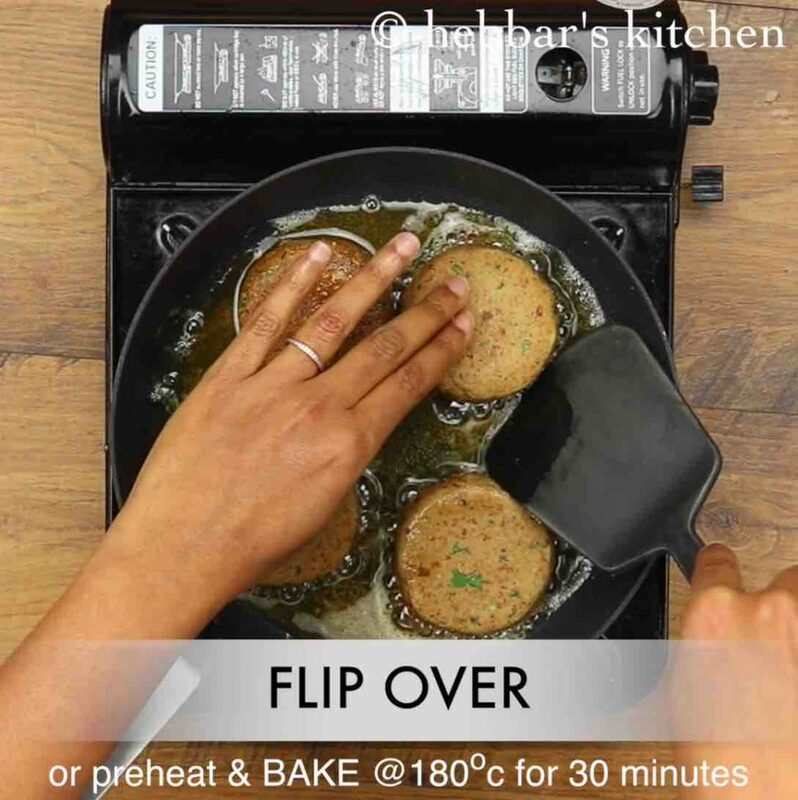 furthermore, i would like to add some tips and recommendations while preparing shami kabab recipe. 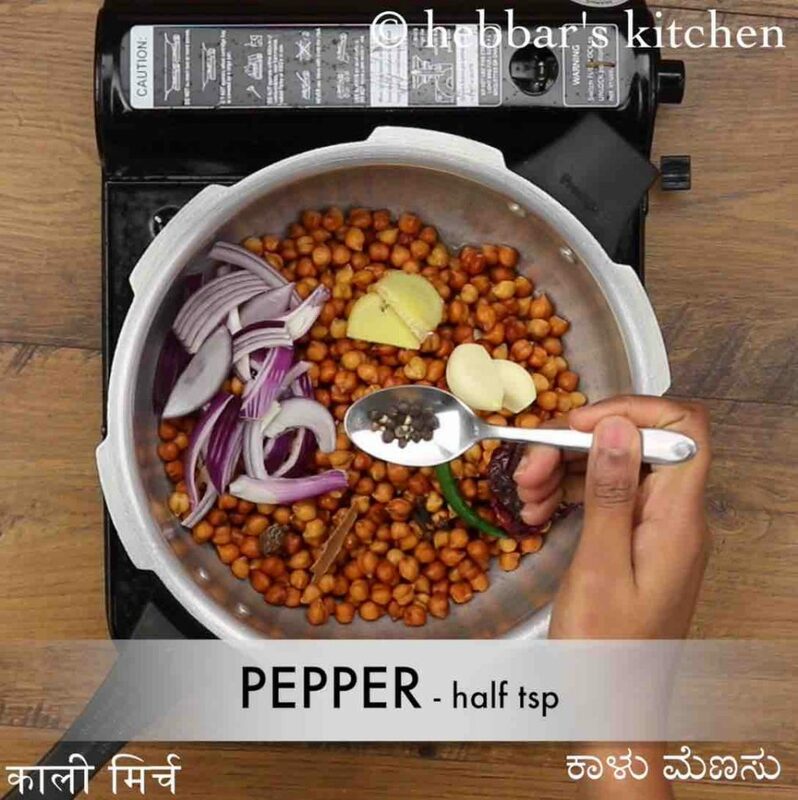 firstly, the recipe is commonly prepared with black ground chickpeas however you can use other alternatives too. for example, you can use chana dal, white chickpeas (similar to falafel recipe) which should make evenly good. secondly, i have pan fried these kebabs yielding crisp and golden brown colored kebabs. but it can also be deep fried or shallow fried for the healthier option. lastly, the outer coating is not necessary, as chickpea gives a crunchy texture. 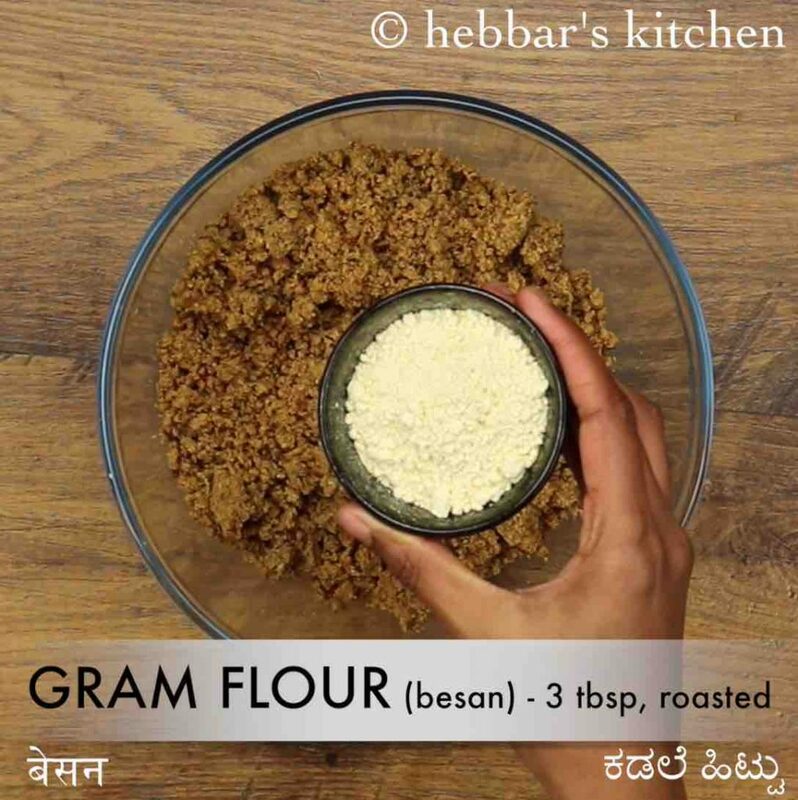 but you can also use bread crumbs, crushed oats, bread slices or rusk powder for a more crunchy bite. 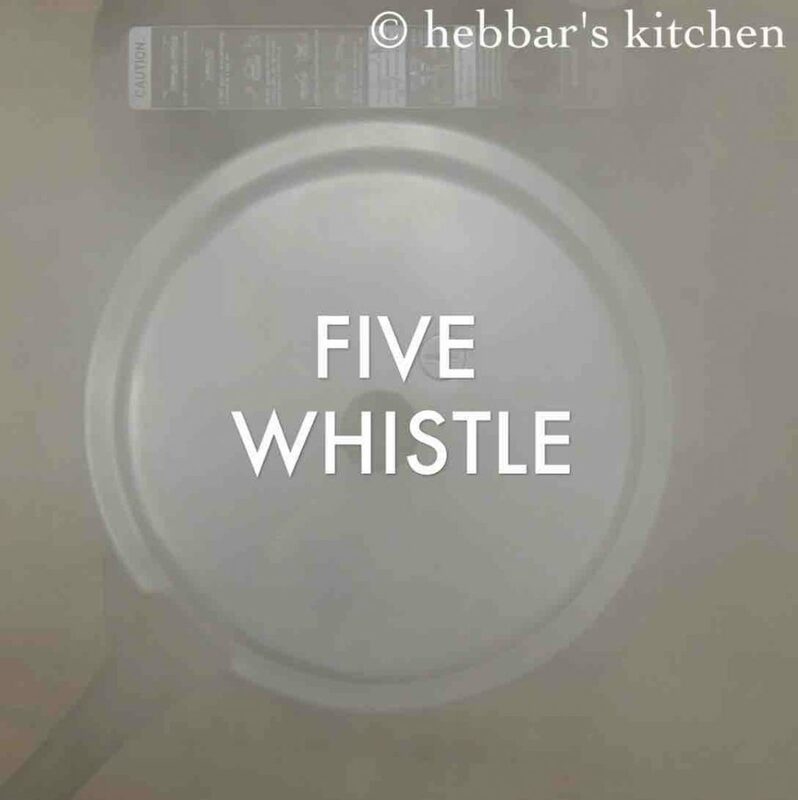 firstly, pressure cook all the ingredients listed pressure cooking for 5 whistle. 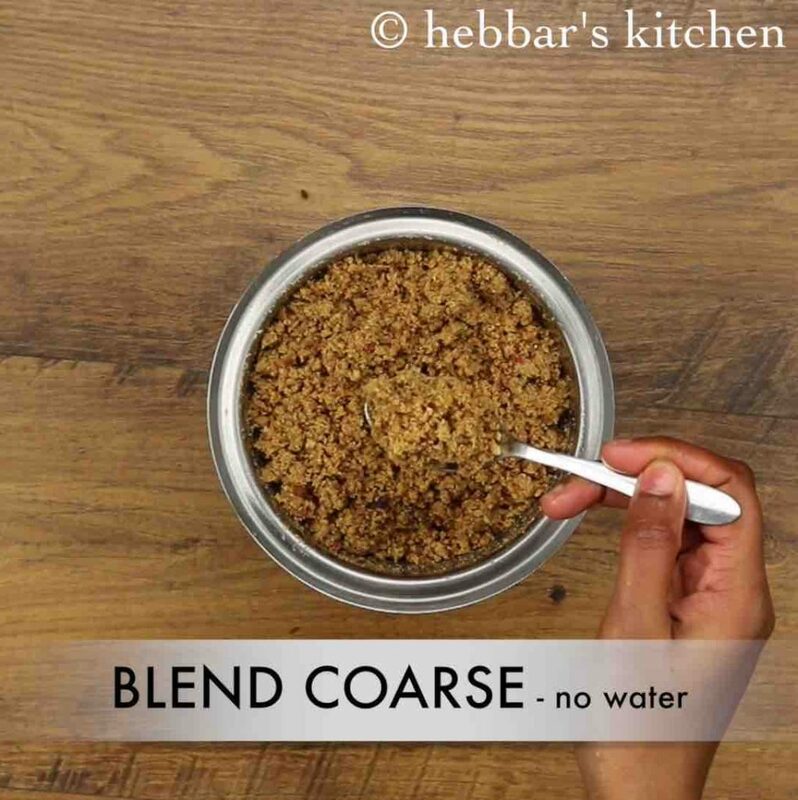 drain off the water and blend coarsely without adding any water. further add 3 tbsp roasted besan. 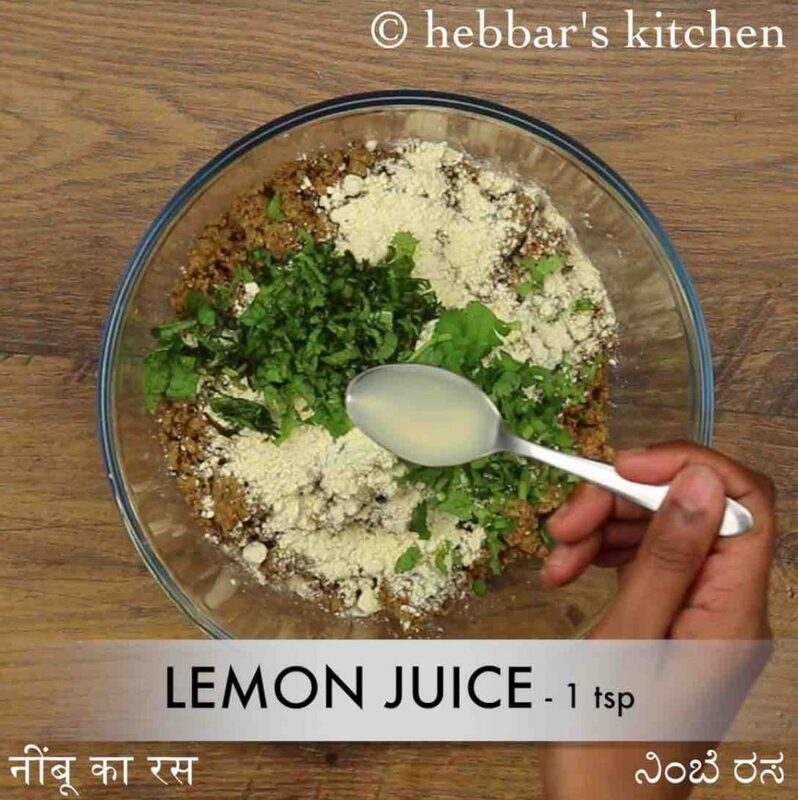 also add 2 tbsp mint, 2 tbsp coriander, 1 tsp lemon juice and ½ tsp salt. further grease hand with oil and prepare patties. 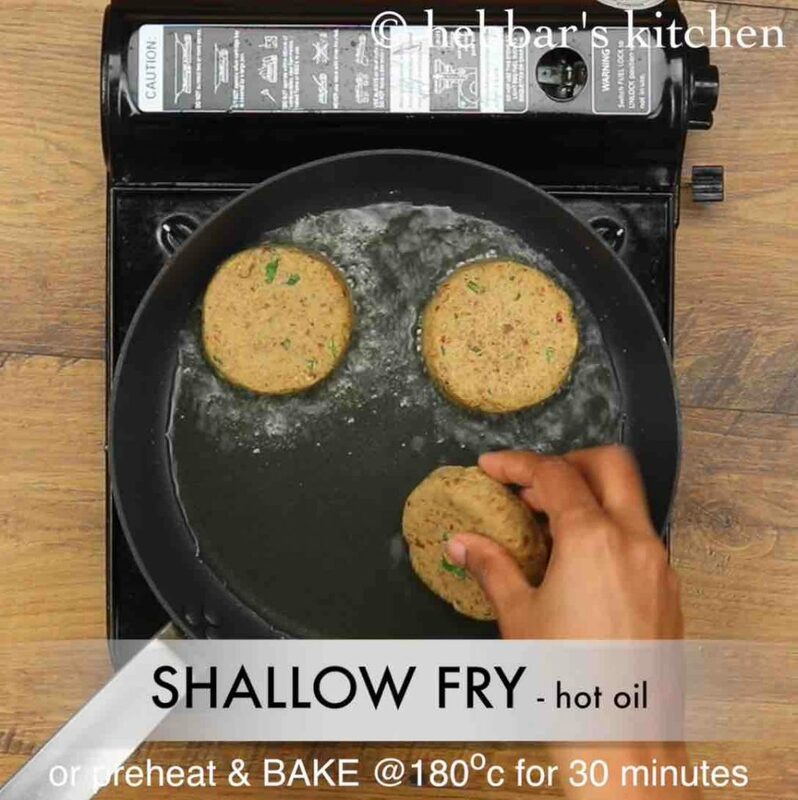 now deep fry, shallow fry or pan fry the patties in hot oil. alternatively, preheat and bake at 180 degree celsius for 30 minutes. flip and fry both the sides on medium flame till it turns golden and crisp. finally, serve veg shami kebab with onion, lemon and green chutney. 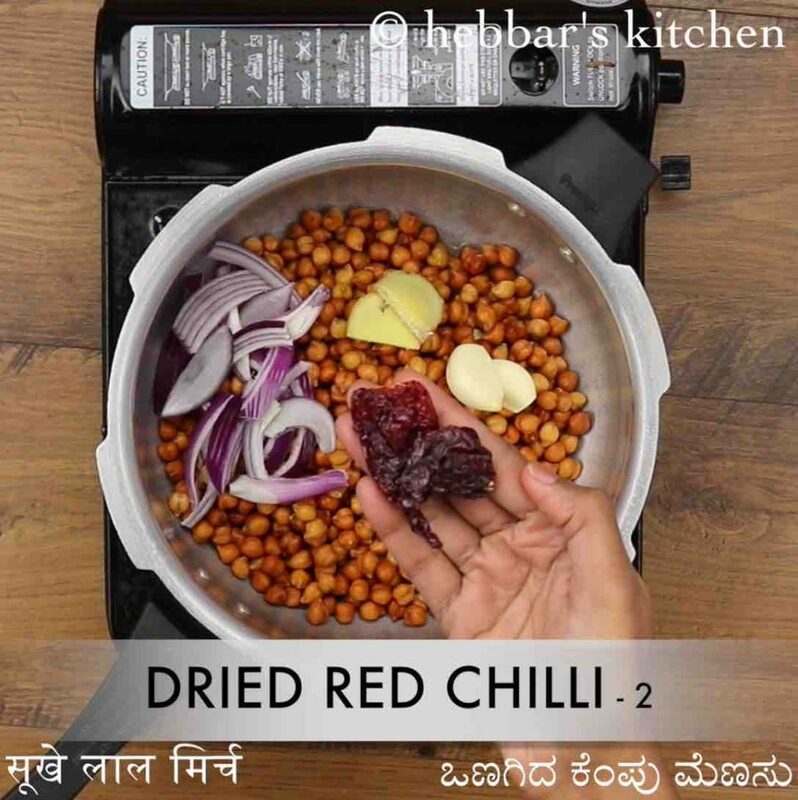 firstly, in a cooker take 2 cup soaked black chana. 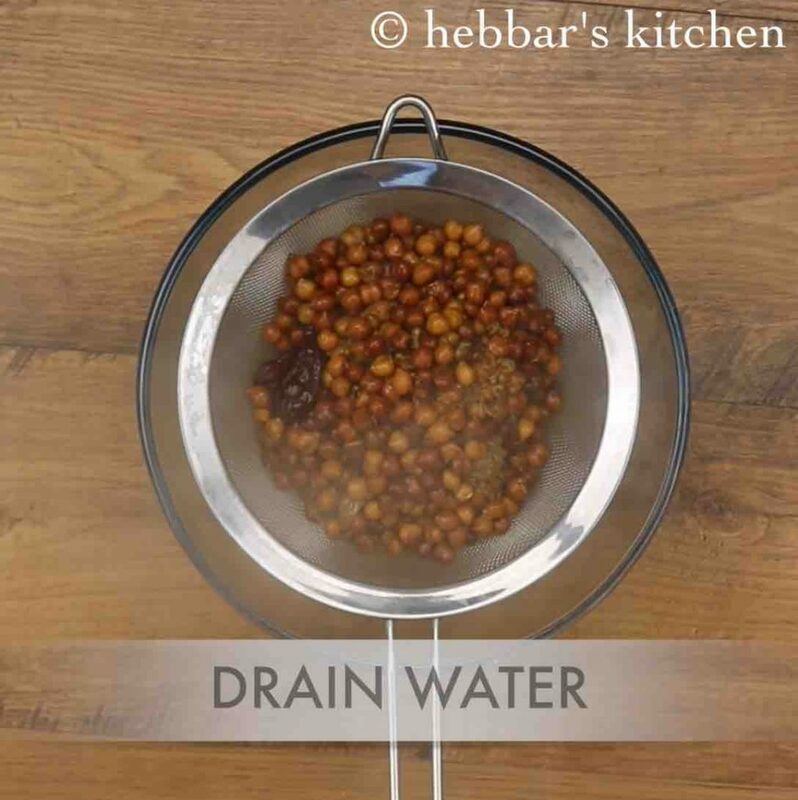 make sure to soak 1 cup kala chana overnight to yield 2 cup of soaked chana. also add ¼ onion, 1 inch ginger, 2 clove garlic, 2 dried red chilli and 1 green chilli. further add 1 inch cinnamon, 1 black cardamom, ½ tsp pepper, 1 tsp coriander seeds, 1 tsp cumin, ¼ tsp turmeric and ½ tsp salt. pressure cook for 5 whistles adding 2 cup water. once the pressure settles down, open the cooker and drain off the water. rest for 15 minutes to drain off completely. 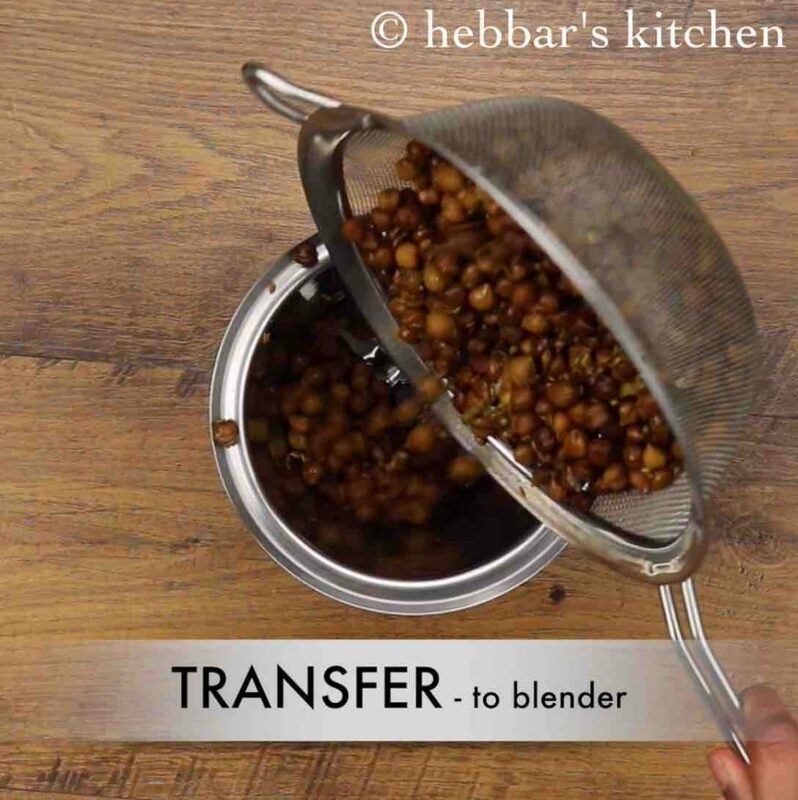 now transfer the cooked chickpea into a blender. further, add 3 tbsp roasted besan. make sure to dry roast besan till they turn aromatic. mix well making sure all the spices are combined well. further grease hand with oil and prepare patties. these patties can be freeze and used for a month. now deep fry, shallow fry or pan fry the patties in hot oil. alternatively, preheat and bake at 180-degree celsius for 30 minutes. finally, drain over kitchen paper to remove excess oil and serve veg shami kebab with onion, lemon and green chutney. firstly, grind chickpea without adding water, else the dough will be very moist and absorb oil. also, replace kala chana with kabuli chana or chana dal. however, the cooking time reduces for chana dal. furthermore, store the dough in the refrigerator for 2 hours before preparing patties. this helps to get a nice shape and do not break in oil. finally, if the veg shami kebab breaks while frying, then add a tbsp of more besan and mix.